by Badru, Pade, Sackey, Brigid M.
Comments: Very good condition. Spine is unopened and text is like-new. May have slight shelf wear on cover. Never been read. 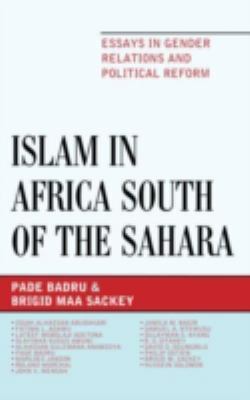 Badru, Pade, Sackey, Brigid M.
Badru, Pade is the author of 'Islam in Africa South of the Sahara : Essays in Gender Relations and Political Reform', published 2013 under ISBN 9780810884694 and ISBN 0810884690. Loading marketplace prices 1124 copies from $59.32 How does the rental process work?